Although Washington and Riyadh have clear common interests, they share few values. Saudi Arabia is an absolute monarchy. It is the cradle of Wahhabism, a particularly closed form of fundamentalist Islam. It has an abysmal human-rights record, denying its subjects and citizens civil and religious liberties. Such issues may be internal, but they have serious implications for America and the rest of the world. The kingdom is unable to make the ideological argument against terrorist organizations such as al-Qaeda and ISIS, as according to its own religious ideology, the Quran prohibits Muslims from allying with non-Muslims. 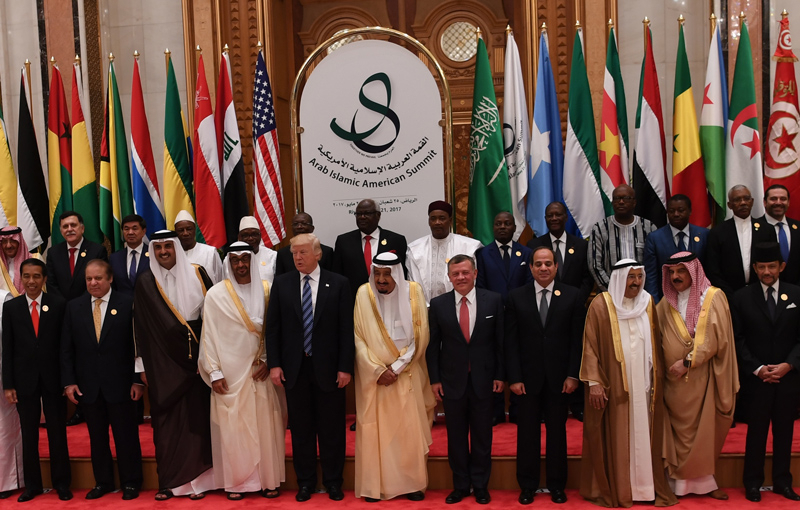 It was ironic that Trump's address to the Arab Islamic American Summit in Riyadh on May 21 was devoted to combating practices in which the House of Saud itself engages. At an Israeli Independence Day event in Washington, D.C. on May 2, on the eve of Palestinian Authority President Mahmoud Abbas's meeting at the White House, National Security Adviser H.R. McMaster referred to U.S. President Donald Trump as "not a super patient man," who "does not have time to debate over doctrine." McMaster then said that those who call Trump "disruptive" are right, "and this is good... because we can no longer afford to invest in policies that do not advance the interests and values of the United States and our allies." "There is a need for disruption. We've had three administrations follow a pretty consistent policy toward North Korea, and it really hasn't gotten us anywhere... [T]he tough talk on North Korea, the military deployments, sending the missile defense system to South Korea ... [Trump has] gotten China's attention to a degree that his predecessors have not." However, Gates cautioned, "[T]here's the risk of being too spontaneous and too disruptive where you end up doing more harm than damage. And figuring out that balance is where having strong people around you matters." In the first place, although Washington and Riyadh have clear common interests -- one realizes that although preventing Iran's imperialist expansion and nuclear program is of paramount importance -- it is crucial to remember that they share few values. Saudi Arabia is an absolute monarchy. It is the cradle of Wahhabism, a particularly closed form of fundamentalist Islam. It has an abysmal human-rights record, denying its subjects and citizens civil and religious liberties. Such issues may be internal, but they have serious implications for America and the rest of the world. Secondly, uncritical and unconditional U.S. support for the Saudis cause many Arab and Muslim states to accuse Washington of double standards -- accepting from Riyadh what it claims to reject from other Middle East regimes. 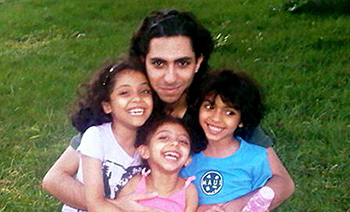 It also leads them to view Saudi Arabia as a hypocritical American proxy in the Islamic world. The kingdom is unable to make the ideological argument against terrorist organizations such as al-Qaeda and ISIS, as according to its own religious ideology, the Quran prohibits Muslims from allying with non-Muslims. Further, although Saudi Arabia is considered, even by Israeli officials, as a leading moderate Arab country, its version of Islam and its political regime are fiercely radical, suppressive, and xenophobic. It was ironic that Trump's address to the Arab Islamic American Summit at the King Abdulaziz Conference Center in Riyadh on May 21 was devoted to combating practices in which the House of Saud itself engages. This is where the "disruptive" approach comes in, but it is neither needed nor recommended in relation to consensus issues, such as stopping Iran's nuclear program and restarting Israeli-Palestinian peace talks. Instead, "disruption" should be used by the U.S. to encourage Saudi normalization with Israel; to minimize Saudi interference in the domestic affairs of its neighbors, and to curb its hawkish ambition to become a regional superpower. It is precisely this type of "disruption" that is required to overcome the policy of previous American administrations, which -- in the words of McMaster -- "do not advance the interests and values of the United States and our allies." I would love to hear an Islamist religious official explain the many hate filled verses in the Qur'an. The leftist mainstream media has avoided the opportunity like the plague. The first question I would entertain: Can one be a Muslim if he or she does not abide violent jihad? A couple of responses here, Harold. Reza Khalili, in his book "A Time to Betray" recounts his experience in revolutionary Iran and his career as a double agent working within the Revolutionary Guards for the CIA. He said, when he was growing up in imperial Iran, he interpreted the more militant verses of the Koran in a figurative manner. Don't ask me exactly how that works, but there is a similar dynamic within Christianity. Second, Norbert Pressberg, in his notable book "What the Modern Martyr Should Know: Seventy Two Grapes and Not a Single Virgin" relates the findings of some modern research into the Koran, notably some by Christoph Luxemburg. Pressberg notes that the Koran is such a hodgepodge of writings, that it's quite impossible to determine what the meaning of many of the words in the Koran (this is not the same as interpreting symbolic passages). The Koran uses numerous non-Arabic words, leading to confusion on the part of those who compiled the Koran. So, for example, the promise that jihadis would receive 72 virgins in Paradise actually probably meant 72 grapes. Moreover, it wasn't young boys who would be passed around, but rather it was these same grapes. None of us alive today knows how the Koran will be interpreted in 200 years. As unlikely as it seems today, it is possible that how self-professed Moslems interpret their holiest text could be radically changed. It would, however, be a truly difficult task, as it would call for overthrowing the authority of many of the classic interpretations of Islam, including many of the so-called reliable hadiths. I guess that I'm just too logical. I have heard a few of the so called moderate Imams clarify the "nice" verses as written in English, and it makes perfect sense in its harmony, therefore I reason the same would be true of the intolerant verses. Like yourself I do not grasp "figurative manner." My essay,"MEDIA, MULLAHS AND REALISTS" clarifies the total lack of equivalence between Judiac-Christainity and Islam, which so many neophytes attempt to draw. When all is said and done regarding the attempts by Muslim apologists to equate the militancy of both the Qur'an and the Bible the most critical point missed is the fact that no where,in either the Old or New Testament, does God exhort his followers to kill or otherwise encumber folks because they are not Jews or Christians, aka non-believers. He is quite nasty, though, when it comes to the enemies of the Jews. I have several sources of the Qur'an and they all contain the same intollerant verses so, I find it unlikely that linguistics is the culprit at this point, but I keep an open mind on the subject. There is one thing of which I am certain, that being that one cannot hope to understand anything Islamic without a thorough knowledge of Middle East history. When is the west going to wake up to itself? "..Western societies are based on implied contract between the Sovereign and the people. The Sovereign and the government promise to uphold law and order, protect their people from violence and foreign encroachment and apprehend criminals. In exchange, the citizens promise not to take the law into their own hands. It follows that if the State fails to uphold its part of this social bargain, then the right, indeed the obligation to protect oneself, one's family, neighbours and community returns to the citizens." Our politicians have become cowardly and afraid to confront honestly the issues before us: individuals driven by a warped ideology intent on obliterating western values and customs because they do not follow Islam. Add to that the individuals driven to defend the rights of these murderers because of their own warped ideology. If our laws need to change to deny rights of mitigation to these Islamic murderers, so be it. There can be no grounds for mitigation when the purpose is to destroy all the west stands for. FACT. There are 43 low lights in Trump's address to the summit. Take them on one by one. "you end up doing more harm than damage" - whatever that means, it sounds like a win-win situation. but the real area that needs disrupting is the iran-north korea connection, where iran seems to be funding feverish development and testing of nukes and missiles. disrupting it now, no matter how messy, will be better than facing the results, later. Trump is psychologically inadequate to the task here. He is virtually illiterate. His pro-Israeli colleagues can supply him with directions, but there are other interests he must consider as POTUS. Mecca may be the heart of all the Islamic sects, but there are Muslims across the world in large numbers from Pakistan to Indonesia. The main point to push with the Pope is that the widespread persecution of non-Muslims needs to be tackled inside the "Saracen Camps", not that the west should open its hearts and doors to millions of non-Europeans whatever their faith (creed, color, gender, sexual orientation, disability, &c &c). Read Douglas Murray's "Strange Death of Europe". Trump needs to push the Sunnis and China to the point of RUPTURE with their past practices! Saudi Arabia and others are investing millions in sub Sahara in the construction of thousands of mosques! Kinshasa is a prime example. Saudi Arabia has been building mosques in he United States for over thirty years. They plan on taking our country for the cause of Islam. The Saudis were friendly and charming when our president visited, to make an arms deal with them. Of course, Moslems have had over 1400 years of experience in destroying civilizations, using their own generosity against them. Because of their duplicitousness, we should never sell arms to them, or any of our other enemies. There is no virtue in compromise with evil. Whoever says so is willing to justify a degree of evil. Those who have to live with those arbitrary decisions are effectively disenfranchised. A case in point is America's attempt to compromise with North Korea by giving them food, medicine and othr benefits in exchange for empty promises. At least three previous administrations pursued those compromises without any benefit to American taxpayers who gave their hard-earned tax dollars to pay for those failed compromises with evil. Another case is previous administrations' attempts to broker a two-state solution for Israel - another instance of trying to compromise with evil, islam in that instance. Why should America force a sovereign country to compromise with the evil that country absolutely recognizes? Who appointed America to the position of a God-like arbiter? Likewise, America should sell munitions to absolutely NO ONE, especially in a circumstance where there is evil on both sides of the conflict. Wherever islam is warring against itself because of sectarian differences, America is foolish to fuel the conflagration with munitions whose use it can't control absolutely. History proves that, more often than not, and against expectations, those weapons are turned against Americans or their allies. In nearly every middle east country where we have pursued the idea of arming one faction that appears less evil than the other, we have had a negative outcome where American lives have been lost as a direct result, as well as Amercan interests compromised or thwarted. A very famous man once opined that the definition of insanity is doing the same thing over and over, expecting a different result. Why are the basic truths so damned hard for government idiots to understand, and why are the mistakes of previous government idiots blithely ignored? America should, in its own interests, keep its own council, its own armaments and its own singular focus on exclusive benefit for America in all situations. The reason we on the right hope, perhaps vainly, that Trump will succeed, is his purported view that America should always be for Americans - everywhere in the world. It is SUCH a refreshing departure from the goals, unstated but still effective, of previous administrations going back to Reagan. I think your comment, cashu, is nonsense. There most certainly can be virtue in compromising with evil on such occasions as when the adage of the enemy of my enemy is my friend, comes into play. The day after Hitler invaded Russia, Churchill, a lifelong foe of Bolshevism, declared in the Commons that while he would not gainsay a single word he had ever said against Bolshevism, he would now do all within his and Britain's power to aid Russia. We did the same when we entered WWII despite Pres. Roosevelt's unequivocal denunciation of the Soviet system before as being as absolute a dictatorship as any existing on earth. Selling munitions to no one can result in a result far more inimical to us than otherwise....in this sad and sorry world we often do have to choose between the lesser of two evils. You write Buchananite isolationist nonsense, in my view...the stuff both Pat Buchanan and his friend, Ron Paul, and the latter's son, Rand, have advocated for decades. It is a prescription for disaster. It appears to me that you can easily tolerate that compromise with evil to a certain degree and actually advocate it, using politicians for justification. More power to you. If you choose to make that compromise, that's on you. I don't choose to. And, by the way, I appreciate and honor all three of those populists and constitutional advocates that you obviously denigrate. I don't consider them isolationists in any way. I consider them cogent thinkers and far better statemen than Roosevelt ever was. But I appreciate Churchill's decision. When you're up against it and the end appears to be likely imminent, you can be forgiven for grasping at anything that will keep you afloat in the short term. Survival to fight another day somewhat trumps everything else. I think that's the situation he found himself in and if he decided to make a deal with the devil himself, I wouldn't deign to second-guess him. Roosevelt and all modern American politicians have never found themselves in a situation even remotely similar. When the decision is arbitrary, not caused by short-term expediency, America would do well to keep its own interests behind its borders. We don't need to be the world's policeman, regardless the short-term circumstances or the immediate benefit for any politician. I think you should look at the middle east and the results of liberal meddling in sovereign government affairs before you pass judgment on an "isolationist" viewpoint. Your term; I disagree with its use in this context. The British Government should pass a law banning Saudi Arabia from funding mosques, Islamic schools and Islamic charities in this country. It is a source of the promotion of Jihad. The "British Government" (almost 2 misnomers together) either hasn't a clue or dare not do the sensible thing. We have soldiers (from a depleted Army) on the streets as an ineffective show of force, and an establishment media advocating "Give peace a chance", "Collective Cuddles" and "Every time you see a beard atop some white pyjamas in front of a walking dustbin bag, blow them kiss and say 'Ahlaan wa sahlan'!" Mosques financed by Saudi Arabia are where many future Islamic terrorists are created. This link to Islamic terror must be disrupted.